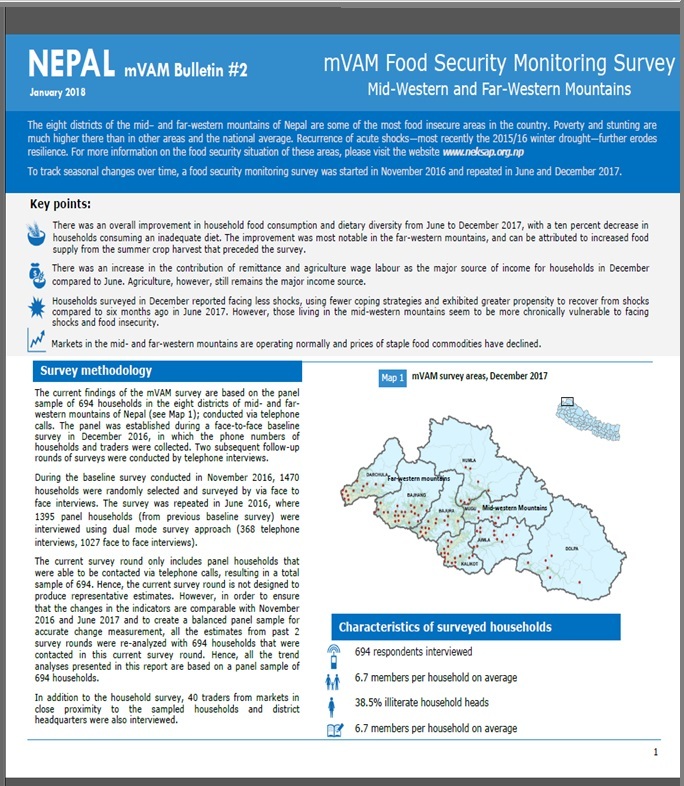 The eight districts of the mid– and far-western mountains of Nepal are some of the most food insecure areas in the country. Poverty and stunting are much higher there than in other areas and the national average. Recurrence of acute shocks—most recently the 2015/16 winter drought—further erodes resilience. To track seasonal changes over time, a food security monitoring survey was started in November 2016 and repeated in June and December 2017.